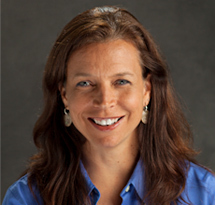 Karina L. Walters, an enrolled member of the Choctaw Nation of Oklahoma, is the Associate Dean for Research, the Katherine Hall Chambers Scholar, and the Director and Principal Investigator of the Indigenous Wellness Research Institute (IWRI; NIMHD P60MD006909) at the University of Washington. IWRI was one of 16 National Institute of Minority Health and Health Disparities Comprehensive Centers of Excellence and one of two devoted to American Indian and Alaska Native (AIAN) research in the country. Dr. Walters has more than 25 years of experience in social epidemiological research on the historical, social, and cultural determinants of health among AIAN populations as well as chronic disease prevention research (e.g., HIV, AOD, obesity). Much of this social epidemiological work has targeted urban AIANs and LGBT-Two Spirit AIAN populations across the United States. In recent years, Dr. Walters has since expanded her research foci to include tribally based intervention research in the areas of substance abuse, obesity, diabetes, and HIV/AIDS prevention, particularly among American Indian women. Methodologically, she has expertise in decolonizing methodologies, particularly with respect to designing community-based, culturally grounded interventions. Dr. Walters has presented at more than 360+ national and international conferences; was an invited speaker for Wednesday Afternoon Lecture Series (WALS) at the NIH; and was a Fulbright scholar at the University of Auckland, New Zealand. Dr. Walters has served as Principal Investigator or Co-I on over 46 National Institute of Health (NIH) grants (20 as PI) from diverse NIH institutes; has mentored over 110 scholars from historically underrepresented populations including 55 AIAN scholars; and has participated in 16 national research training programs for underrepresented ethnic minority scholars. Currently, she is active in NIDA’s American Indian Scientific Committee and is Chair of the NIH’s Intervention Research to Improve Native American Health (IRINAH) Committee. Dr. Walters received her B.A. (sociology) in 1987, her M.S.W. (clinical) in 1990, and her Ph.D. in 1995 all from the University of California, Los Angeles. After serving on faculty as an Assistant and Associate Professor at Columbia University School of Social Work (1995‐2001), she joined the University of Washington faculty in 2001 and became Full Professor in 2011. She has served as Director of the Doctoral Program (2003‐05) and as Associate Dean for Research (since 2012). Prior to her career in academia, Dr. Walters was a community-based psychotherapist and served as Commissioner for the Los Angeles County American Indian Commission.